Dan Tedesco may be known as a folksy singer-songwriter, but now he’s also his own producer. Tedesco recorded his recently released, self-titled fourth album in his Iowa home, using his iPad’s on-board condenser mike to capture his songs live quickly. The result is an album stripped of studio-recording atmosphere, and focused on a raw sound that reflects Tedesco’s live performances. “I wanted it to be very direct, and I wanted it to be a very transparent performance,” he said, speaking by phone. “I wanted it to be as if I was almost next to you on a couch playing those songs, because they’re very intimate.” Minimalist rhythmic guitar, melodies that swoop, soar, and linger, and lyrics saturated with metaphor render a complex product despite Tedesco’s simple recording techniques. 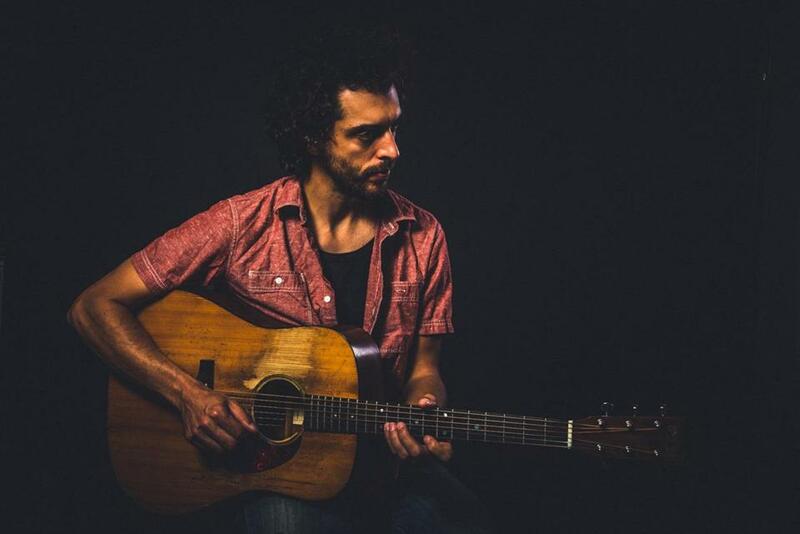 Prior to his show at Berklee’s Cafe 939 on Friday, Tedesco talked with us about five songs from his new record, in which he delved into concepts he’s eager to explore. Dan Tedesco plays with Lindi Ortega and Smooth Hound Smith at Berklee’s Red Room at Cafe 939 on Friday at 8 p.m. Tickets $15-$17. 617-266-1400, www.berklee.edu/events.